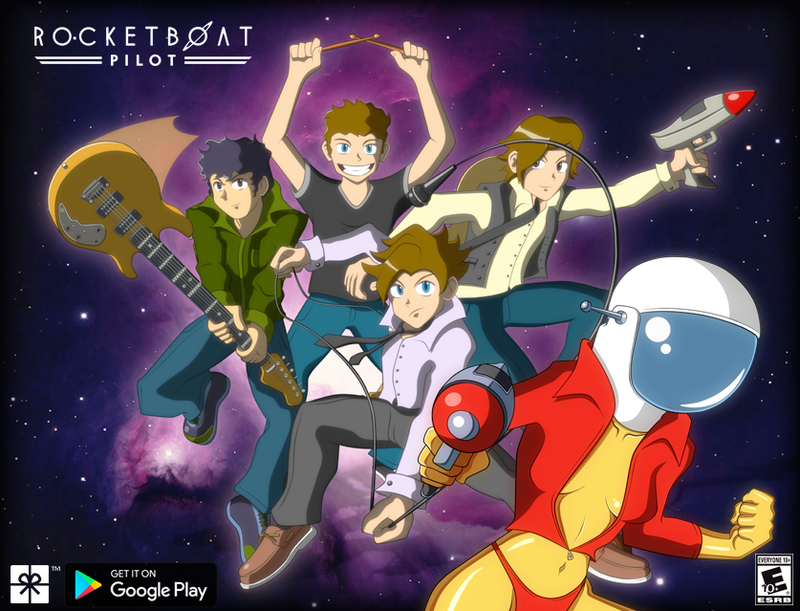 Chicagoland-based rock band unveils video game version of itself in Rocketboat - Pilot for Android mobile devices. 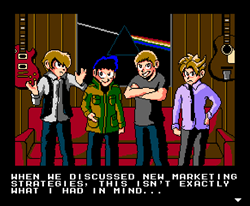 This game should stand as an enjoyable experience on its own, whether or not you know that we’re a real band or are a fan of our music. Standing out as a new independent music artist in the modern world can be quite difficult. The internet is saturated with music while radio and television exposure is nearly unattainable unless you’re well-connected. Despite these challenges, independent “adventure rock” band Rocketboat is seeking out new ways to reach wider audiences and attract fans. 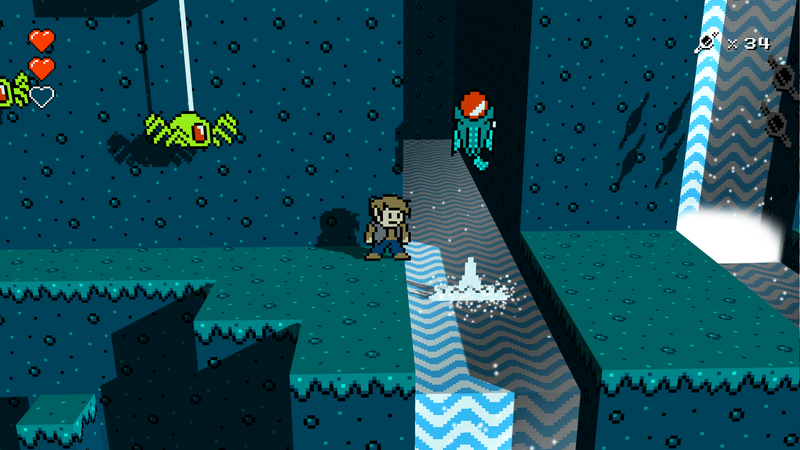 Released today by Present Day Media LLC, Rocketboat - Pilot is a mobile platforming adventure game for Android featuring a graphic style that mixes classic minimalist pixel art with modern 3D camera and rendering techniques. 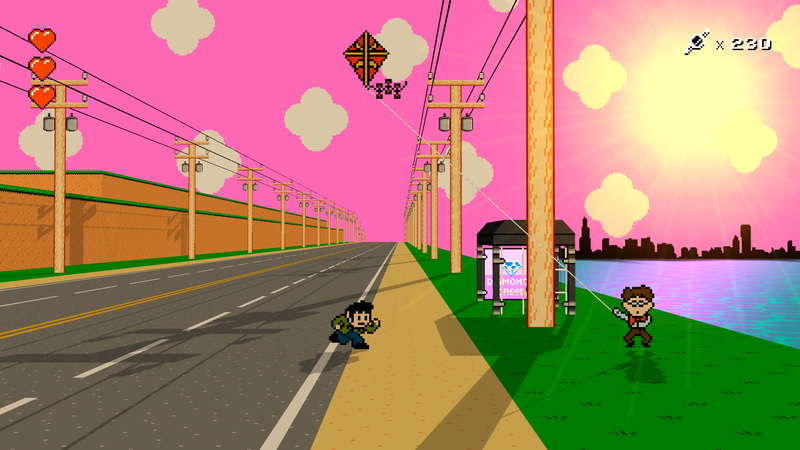 The game tells a humorous story with memorable characters while giving nods to nostalgic gaming and sci-fi clichés, conspiracy culture, the Illuminati, and even the hacktivist group Anonymous. 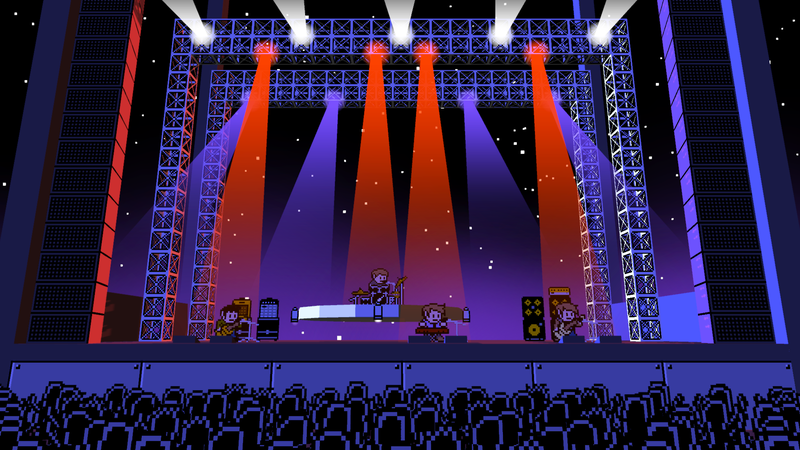 Tying it all together is an 8-bit retro soundtrack influenced by the band’s music. “Games can be so much more than just entertainment. There’s a social awareness aspect that we’re trying to incorporate here as well,” said Leo Riveron, lead programmer. With the game’s Facebook page accumulating nearly 7k likes already, music fans and gamers alike are going to want to see what the Rocketboat hype is all about. 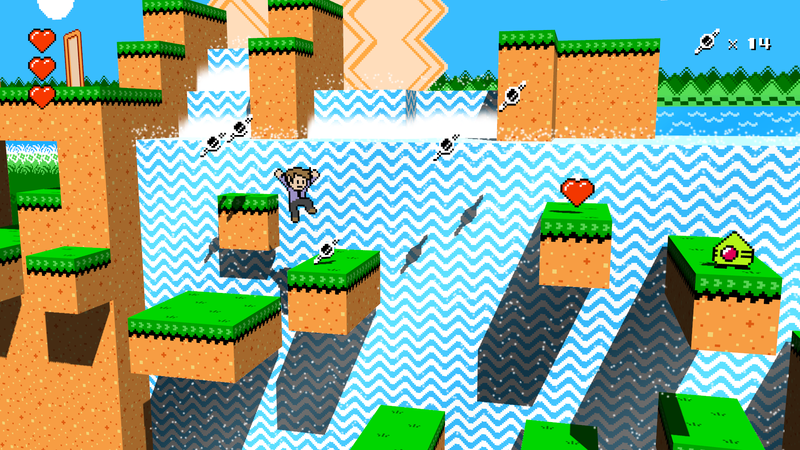 Download Rocketboat - Pilot for free on Google Play. Founded in 2009, Present Day Media LLC is a socially conscious multimedia company specializing in design, production, and software development.